Quite possibly our favorite Scenic Byway is Utah’s Highway 12 (Highway 395 puts up quite a fight though). 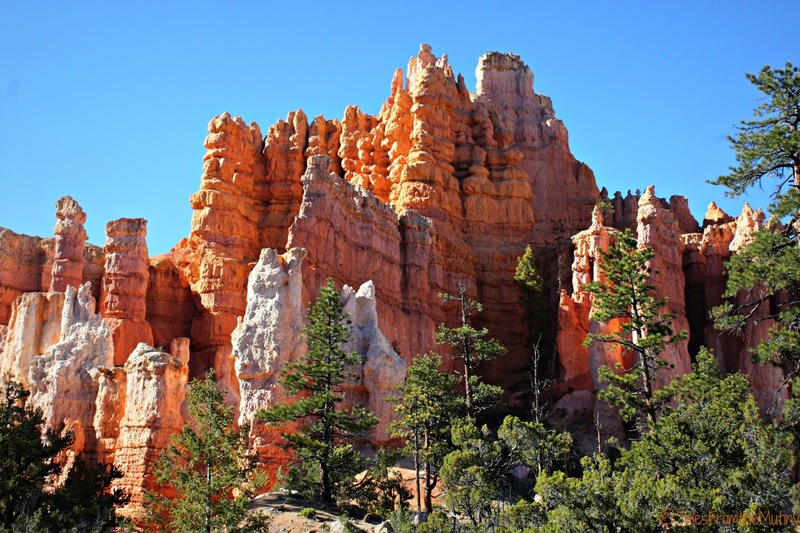 In it’s 124 miles Highway 12 passes through 2 National Parks, 1 National Monument, a National Forest and 3 Utah State Parks. It’s dotted with quirky small towns, each offering something unique along with a warm friendliness not easily found in bigger towns and cities. And even though our attempt at visiting Zion earlier in the week was a bust, we were confident we’d be able to explore Bryce Canyon National Park and that’s where we headed next. 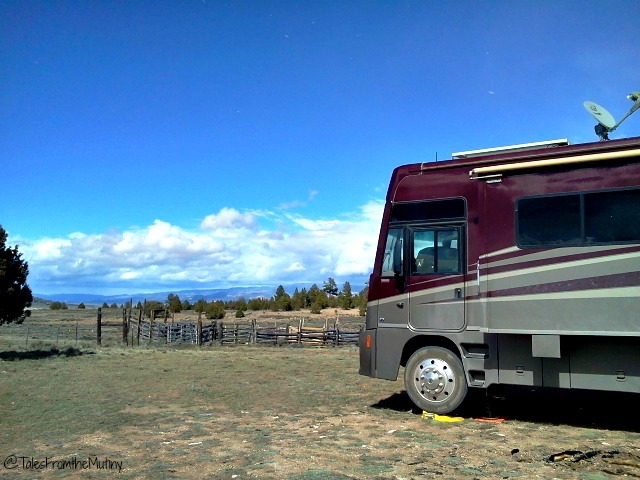 Boondocking outside of Bryce Canyon National Park. Since we had just paid for a week of full hookups in Mount Carmel, we intended to boondock at a spot we found on Gone With the Wynn’s blog. Once we arrived at the spot, and it was pretty nice, we found it difficult to get level. And once we got somewhat level we discovered our hot water heater was leaking. At first it didn’t appear too bad but with the overnight temperatures dropping well below freezing we woke to find the water pump bay not only flooded but that inch and a half of standing water had frozen solid. Fearing we would do more damage we reluctantly moved to the RV park run by Ruby’s Inn. At $48 per night it was a shock to the wallet but, we were now several miles closer to the park, had no fear of pipes freezing and breaking (been there, done that) and we had unlimited access to the indoor pool and hot tub (along with the dozens of families still on Spring Break…but still). 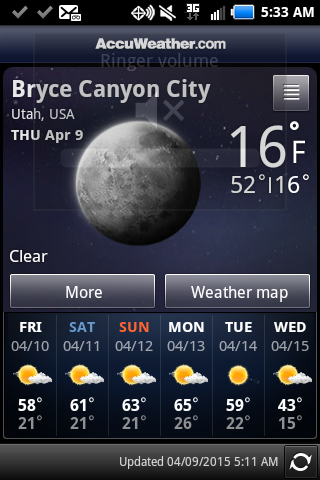 This is what I woke up to our first morning…16 degrees and icicles hanging off of the water pump bay. 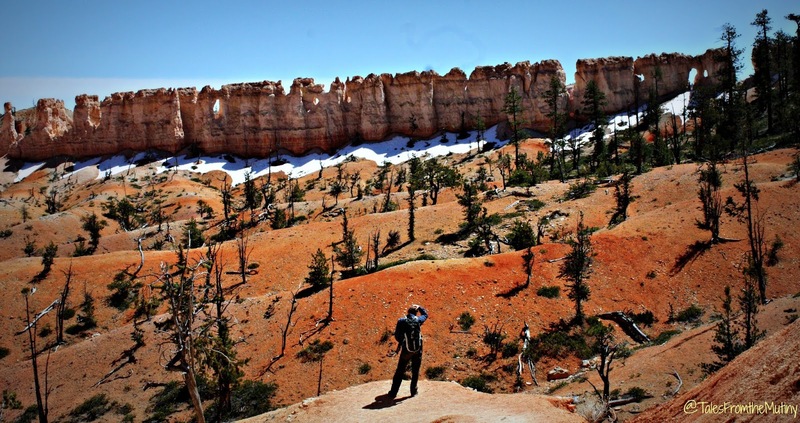 With our stay being rather expensive, we had only a few days to hike as much of Bryce as we could. We hiked every day. A massive amount of switchbacks to test your thighs (and slickness of your shoe tread!). This 3.5 mile loop is the most popular hikes in the park. 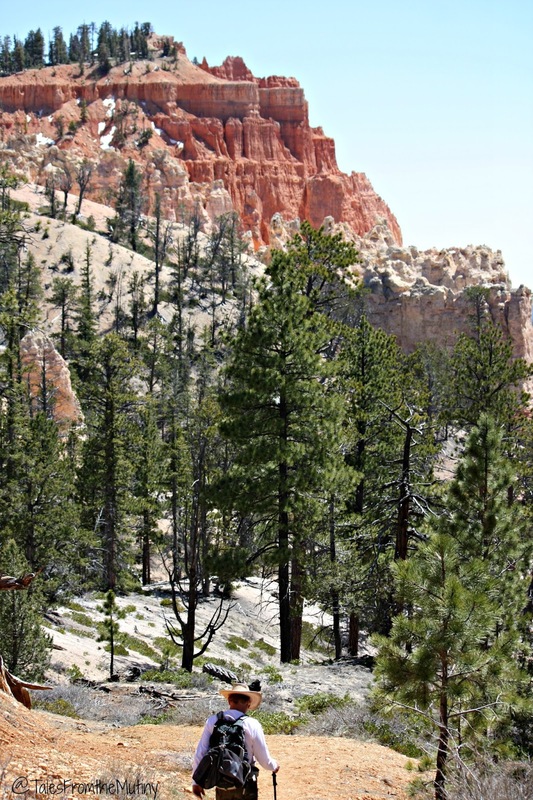 It’s not too difficult but, like all of Bryce, it’s in a canyon and has a pretty decent elevation change. Plenty of water and lots of breaks makes it doable for most people…hell, we even saw some tackling it in dress shoes (although we always recommend proper footwear). Even though we shared the trail with loads of other hikers (and I use that term loosely) it’s worth checking out. 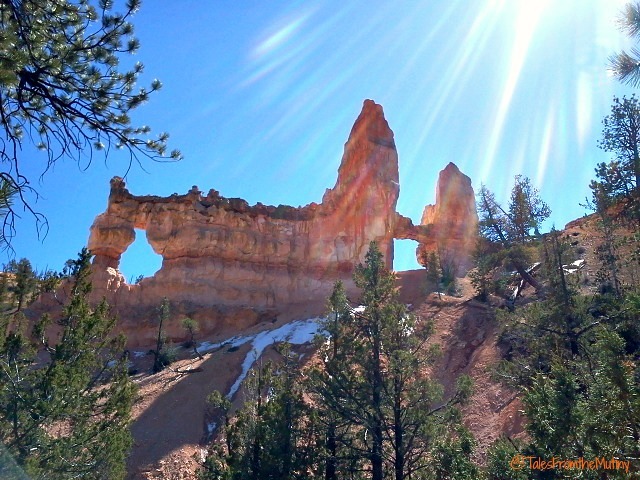 It offers some of the best examples of the rock formations (hoodoos), erosion and “windows” that make Bryce famous. Be sure to take the spur to Queens Garden Trail (it’s a great spot for a snack or picnic). 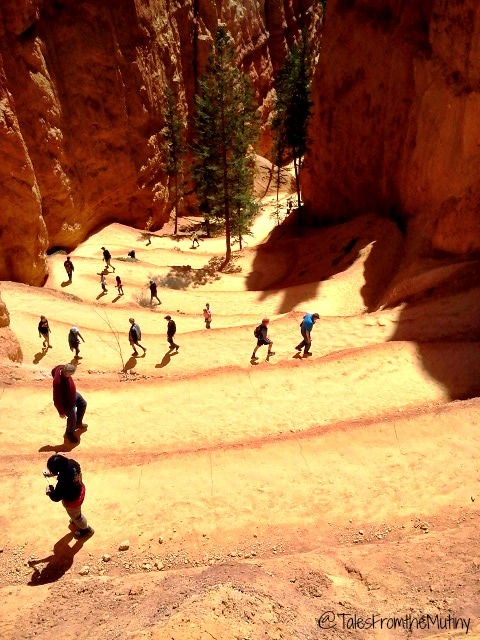 Navajo Loop was recommended in our Favorite Hikes trail guide as a return trail but it still closed due to snow. If it’s open when you visit be sure to check it out. 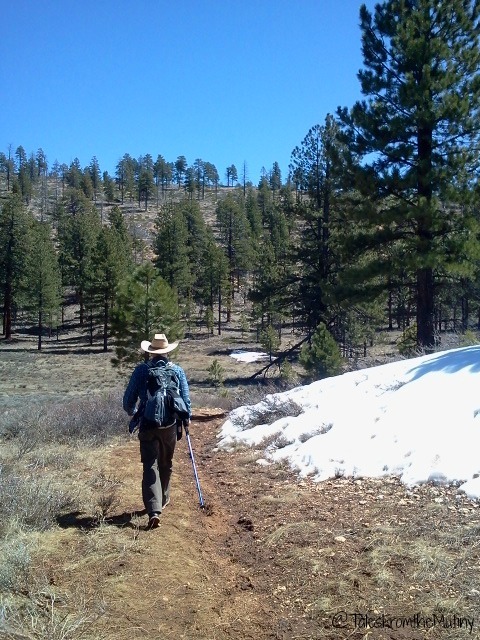 The trail had a few patches of snow, some of which we had to traverse. Admittedly, as beautiful as Queens Garden was, and as much as I think it’s worth it to do that hike, it’s crowded. 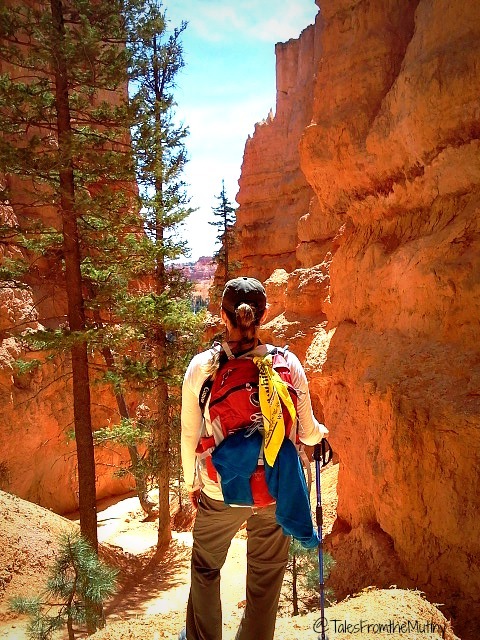 Anytime you have to share the trail with people who are either unprepared to hike or don’t understand trail etiquette (or rules about not climbing on arches and hoodoos for “photo-ops”) it can have a negative impact on your own hike. 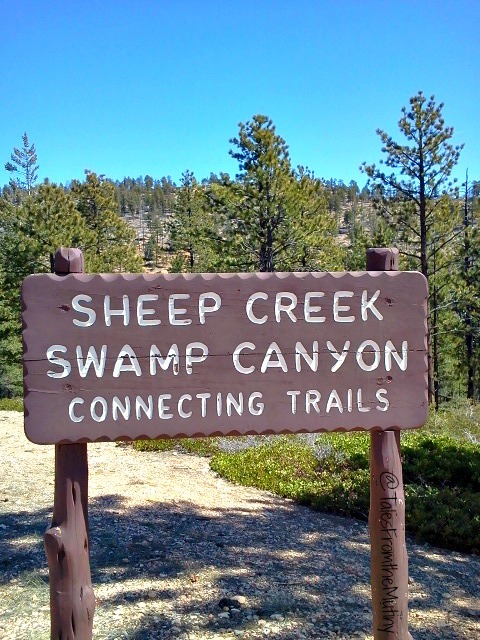 A nice reprieve from that noise is the Swamp Creep/Sheep Creek Loop. At 4.3 miles long, this loop was completely devoid of any other hikers the day we completed it. It was beautiful, serene and just what our nerves needed after hiking with so many people the day before. If you want some time to decompress and reconnect with nature check out this trail. The trail is rated moderate and wildlife encounters should be expected. Fairyland has all the makings of being the most popular trail in the park. It provides access to the Tower Bridge and China Wall and hoodoos that will blow your mind. But, it’s also 8 miles long, thereby making it less popular for your average tourist. Clark will tell you I tricked him into hiking the entire loop but I say he’s full of it. Sure, we originally intended to just hike out to Tower Bridge and then retrace our steps back to the Jeep. But once we got to the fork in the road (literally) he decided we should do the loop (okay, I may have fudged in just how far it was to complete the loop versus returning to the trailhead). Actually, he really wanted to avoid climbing up the massive incline we were facing if we just did an out-and-back hike. Fairyland is the most amazing hike in my opinion. 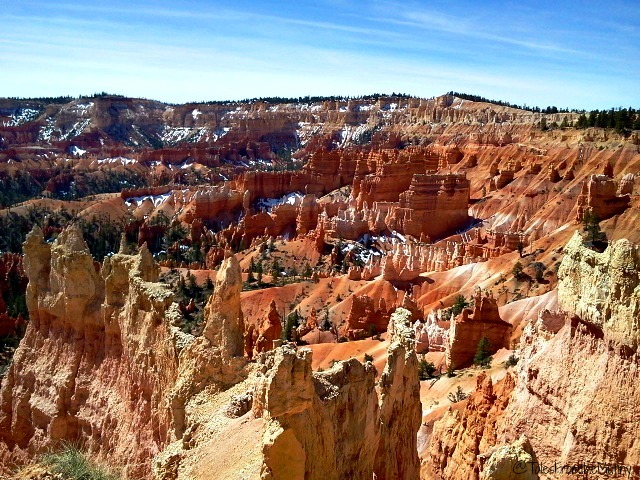 It’s pretty much non-stop hoodoos and the views define what makes Bryce, Bryce. Be prepared for a somewhat steep descent into the canyon and an equally steep ascent out (no matter which direction you do the loop). 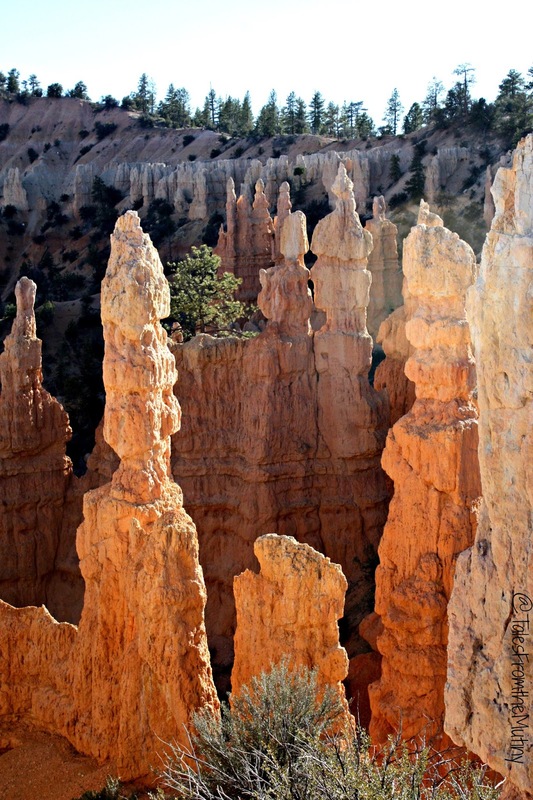 Bryce Canyon sits at an elevation of 7,664 feet with a high point of over 9,000 feet. That alone can challenge hikers even in really good shape. Take that into consideration when setting out on a hike. Be prepared to take more breaks if you’re not quite acclimated. Oh, this takes me right back to our trip there last year. Such an amazing place. 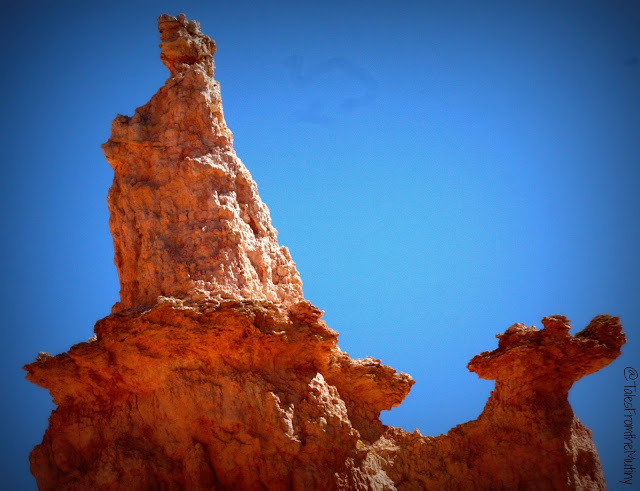 It's so hard to believe those rock formations are natural. I know! It's really something to behold…and best seen in person for sure. Such beauty! !